With the help of Kate’s fans and friends, Kate’s family compiled a definitive collection of her work that spans her entire career, including live and posthumous releases. 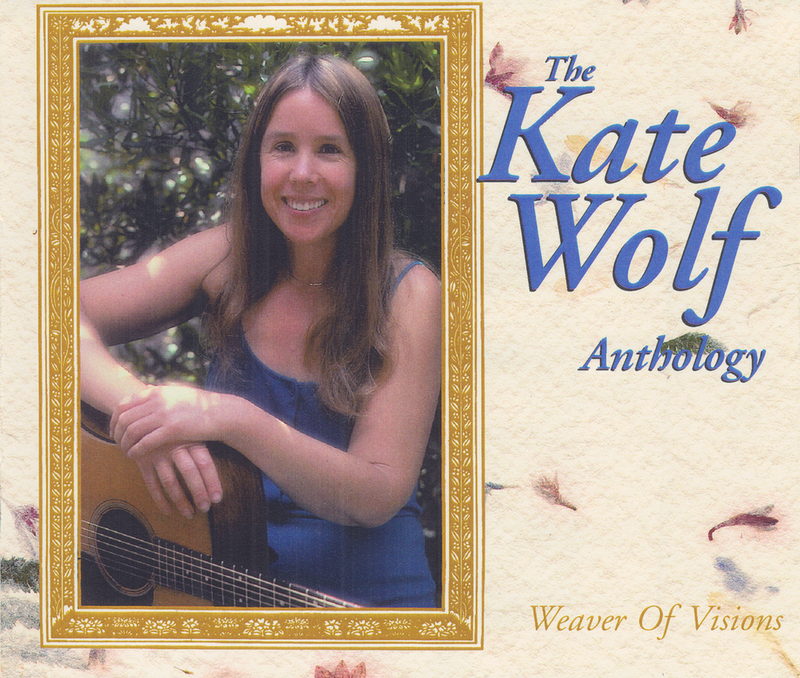 Weaver Of Visions, a 2½ hour double album, also includes three songs that have not appeared on previous Kate Wolf albums: Although I’ve Gone Away, The Minstrel, and Shadow Of A Life. The 44-page booklet traces Kate’s life in pictures and a 10,000 word essay by Larry Kelp, S.F. Bay Area music critic and long-time supporter of Kate’s music. Listen to 1-minute clips here.